What is the name of the lip liner you used? OMG!!!! 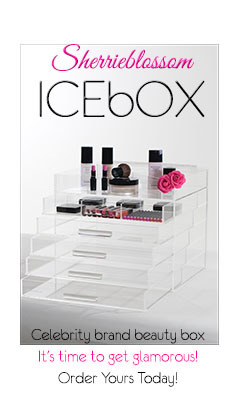 Totally <3 the eyes and can't wait to try it out for my Xmas party!!!! I'm a bit nervous about creating a 'crease' as I don't have a crease so maybe in the future a video on how to put make up on Asian eyes? Please?! Totally love ur work and am watch from Australia and we have MAC so I can try to recreate ur looks!!! Yay! Love theeee videos, pls keep them funny as always. Love your spirit!!! I'm so glad someone just asked if you can do this look for Asian monolid eyes...cuz I totally want to know too!!!! Please please! Thank you! I love your work and your tutorials are spot on and so informative!!! And fun too! Hi Kandee, I adore this look and am hoping to rock it some time this Christmas. However, I tried the eyelash glue and glitter thing out on the back of my hand last night to see how easy it is and I COULDN'T GET IT OFF! :-( I used oil like you said, but it didn't shift, so I tried witch hazel, then oil and witch hazel together, then pretty much every other make-up remover I could find! Eventually I got it off but I had to rub so hard I thought I'd leave a bruise - and I don't really want to have to do that on my eyes! I used Eyelure glue with 2 different brands of glittery loose shadows (BarryM and Benefit) - I know they're not actual glitter, but surely they can't be that different? I tried this the other day with silver glitter, LA Splash makes pretty good eye glitter and they are cheap! I made the mistake of using the Revlon eyelash glue, oh it worked but didn't come off. Today I tried the lash grip adhesive, it worked and was way easier to take off, just had to be a bit more careful when applying the glue and glitter, but I think I like it better than the revlon just because of the ease of taking it off. I rocked the look at work and got so many compliments, girls kept asking what kind of eyeshadow I used. Definitely one of my favorite looks, now I need more glitter colors! Haha!